One of the most important resources that Local Authority’s have in supporting vulnerable families and children is their Social Workers and their valuable support staff. Which is worrying in a time where cuts are being made to budgets that for some (not all) Local Authority’s that these cuts have affected Social Work posts. The knock on effect is more pressure, higher case loads on the remaining workers. As an Assistant Team Manager I have supervision responsibility and find that good supervision is essential in keeping my staff team ‘well’ and working productively. In our team we have not lost any posts! instead have noticed an increasing amount of young people that are coming into care, and at a later age. Making the Young People more vulnerable to offending, placement breakdowns and sometimes more difficult to engage with. And I would agree with this, moving away from the view held of Social Workers by the few and the damaging articles sometimes presented in the media. Social Workers should be treated as experts in the work that they complete within their community’s. In order to do this they need to be supported by good supervision both formally and informally. However, there still remains a danger in this. There has been a move to a reflective supervision model. Which on its own could skip some key learning stages between Managers and their Workers spending two long on the reflection; rather than analysing the information and then using this to be able to move the work along for the young person and their family. I have just completed a Children’s Workforce Development Council (CWDC) course in supervision, which has given me a new look at the supervision process. And I have to be honest when I first started the training I did think “Here we go again another supervision course” But! having now finished the course feel that my supervision was okay but can still be better. This is especially significant when reflecting on previous case learning from serious case reviews. Therefore, it is essential that for the worker who takes on the supervision that they have the experience to understand Social Work learning and theory. In order to develop and identify barriers in social work practise that the worker maybe experiencing. Moreover these barriers could be with other professionals and understanding all relationships and whether these are working could be essential for the outcome of the young person. For everyone that is already being supervised or even if you are responsible for supervision the tools that we have available for this, we already have already in our toolbox. Now, it is essential to remember that Supervision has key functions and that none of these functions can take place if proper planning and importance is given to Supervision from the start. The obvious factor for supervision is that you are not disturbed. Now, I know this may seem obvious, but when your supervision is disturbed two or three times, it will often lead to the focus being lost, the flow of thought to be lost and the benefits completely removed. The other important barrier in supervision itself is an anxious worker or even anxious Manager. These feelings can quickly take up a major part of the supervision process leaving no time for case discussion. The idea is to enable the worker to leave feeling good about themselves (Coulshed, Mullender, 2006). When discussing cases it is essential to understand where the conversation is going. “What was the purpose of your visit?” “What did you learn from the visit?” The questions asked will enable the reflective part of the discussion. However, my favourite tool for this is kolb’s learning cycle. If taken in with you for supervision it can keep you focused on the direction that your discussion should be taken. It is useful to consider that this maybe a lengthy process, so to do this with every case may not be possible. It is therefore important for the supervise to consider, which cases you have that need more careful thought and consideration. The next great tool that should be completed with all cases is a Genogram. This is a great way for the supervisor to understand the family and the make up of the familyby drawing this out from the discussion with their worker. Moreover it enables reflective discussion to identify difficult relationships, strengths and weakness. Where the support is and learn from past experiences within the family. Now it is also essential especially within Child Protection cases that the Social Worker understands who all the professionals that are involved in the case are. And also the relationships that they have with each other. It is important for the Supervisor to ensure that there is good communication between everyone and understanding where professionals maybe mirroring behaviours within the family. Using this Eco Map as an example of how this can be done. You could see that there is no communication between any of the organisations. It shows that the different family members are getting help from the right services. However, what is being demonstrated in this picture is that the communication between the agencies has not yet been explored or understood. Is there good communication and information sharing? it is these questions that can fully implement support for the family. The reason especially if looking at a systemic practise is to ensure that families do not breakdown and have a system around them. There are many other tools that we already have available to work with children and young people, but many are not used when we are in supervision. For me it is important to provide good supervision to keep a happy and confident team. But also to ensure that the right outcomes are met for children and young people. So do not wait for Supervision start preparing for it and use the tools we have to make better use of this time and meet all the functions of Supervision such as Organisational, Developmental, and Support. Have you ever wondered how working in social work is like riding on the ‘Merry-go-Round’. Every day, week and month you get back on the ride appearing to go around in circles. Restricted by the legislation and budgets from veering off the path, the goal to complete your work. Its easy to see how as Social Workers you can quickly become dizzy, confused and disorientated. When you get on the ‘merry go round’ you understand how it works, it gently goes around in a circle with the ride you are on also going up and down. But, what you do not expect is that the ride does not stop, that due to the time that you are required to use the computer systems that the ride can speed up. Despite social work being like a ‘Merry-go-Round’ it is not fun! as your journey takes you around and around it makes it essential that your social work skills are used effectively. Your perception requires you to be able to observe changes and improvements or regression in behaviours and child safety. My favourite description of observational skills is looking at a piece of cheese. Everybody will observe a situation and although everyone maybe looking at the same situation they may observe it from a different angle, and therefore see a different story. When riding on the social work ‘merry go round’ it is possible that every time we complete a visit we may also see different sides of the same piece of cheese. Which, due to the nature of social work requires real analytical skill to decipher in the spin whether you are seeing change in the family and if this is leading to a positive outcome for them. Or is it the same cheese from a different angle masking the problem. But, Social Work is more than just going around in circles with the families we work with. 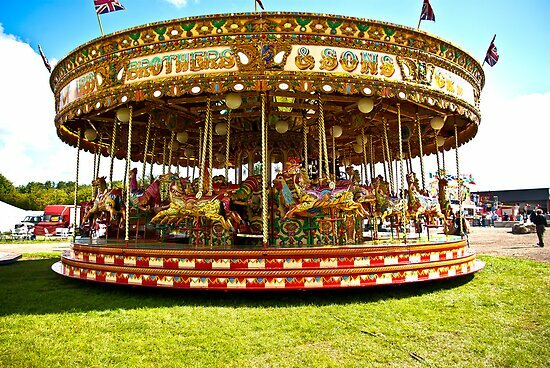 With Carer development and personal learning a good social worker will experience all of the rides in the fun fair. A journey that is never boring, and always a challenge. That when you get home all of the adrenaline, (pressure or stress) needs to be released to avoid the burn out. Finding the balance is not as easy as it seems. Knowing that young children and babies may be living in situations that cause sleepless nights, or arguing in your own head whether the right decision has been made. But don’t forget that as fund fairs pack up and move around in social work we like to do the same. Instead of moving though the nature of the fun fair changes, the rides become smaller. And the entrance fee rises, the conditions change as to who can ride on the rides. Lets all promote positive social work and positive interventions, that social work is not a fun fair that can be forced closed or shrunk. That like fun fairs, social work may not be liked but when done well, it can have a big impact on the community and all of the people living in it. Happy New Year to everyone! Its an exciting time for me writing this blog as I only started writing “How not to do Social Work” this time 12 months ago. The excitement is still there, not know whether anyone is going to read it or is interested. 2011 was a busy year for me and others with so much happening in the world of Social Care and Social Work. 2012 appears to be continuing with the same theme and is going to be equally as interesting and will no doubt demonstrate equally difficult challenges. I know where I work these challenges are not just in the terms of resources that are available, but also in the form of a major restructure and with changes in the terms of our employment conditions. It is proving ever more difficult to practise as a Social Worker when working for a Local Authority that is having to make changes to fit the Government’s plans. It is clear that Social Work still remains misunderstood and therefore can be adapted like any other department. The priority still remains the pot holes in the roads, and with the cold weather coming it will be difficult times and tough decision making for some councils. It is a worry for many people whether they will still have a job in a few months time, and for many people I work with it is the same. I hear it being said over and over again in the office “We will be okay because we are Social Workers!” Guess what, I don’t think anybody is okay in an environment that is as tough as this one. When Social Workers leave their posts they are not being replaced, and if they are it is to newly qualified workers who require more support and time, to ensure that they are protected until they are comfortable and able to manage. However, no matter how hard it is it does not reflect how hard it is for the people we work with. That is the challenge, no matter what the politics are of the job is to find and fight for the right service for the young people. To raise their outcomes and encourage them to take the dwindling opportunity’s that are available to them. I look forward to these challenges and supporting people to make a difference, I know I will continue with my learning and continue to raise the profile of Social Work in a positive way.